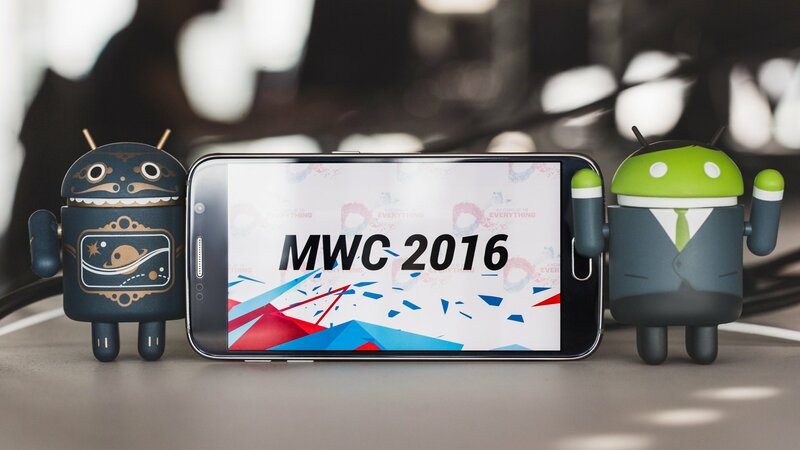 The Mobile World Congress (MWC) held in Barcelona starts this weekend and the new phones make their entrance for the year. Not expected to be a stellar year in breakthroughs, the manufacturers are digging deep to make little improvements look like magical technology. It could be we have reached our peak in smartphone technology. There will be some cool enhancements but no major shifts. Let’s take a look at the big guys. 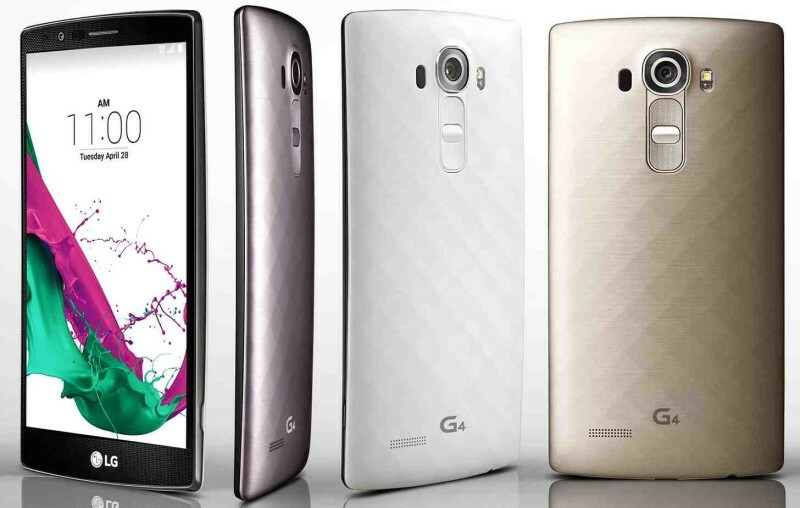 The new LG G5 will be announced in its flagship smartphone line. It will have an always-on display, like smartwatches. They will play nice with some new touch-enabled flip cases. LG’s mobile division posted the GIF below on Twitter but didn’t say to much. We only know the flagship phone will have a screen that is literally always on. 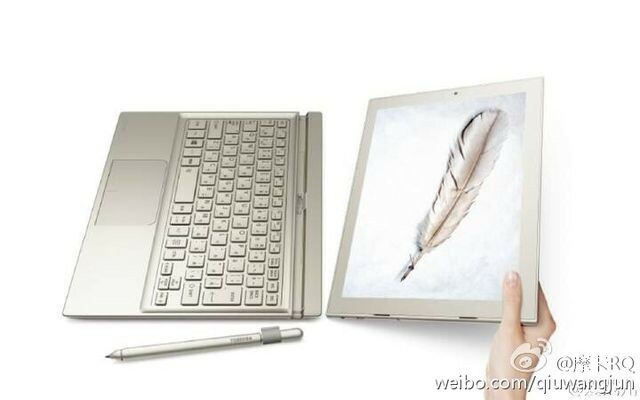 Rumor also has it Huawei is planning a Windows/Android dual-boot hybrid tablet. It’s an idea we’ve seen and heard of before, though previous attempts by other companies were gashed by stringent policies from Microsoft and Google. ASUS tried launching a similar tablet and because of the licensing issues it never launched. Let’s see if Huawei somehow found a loophole to make it happen. Samsung will launch the next phones in their line. 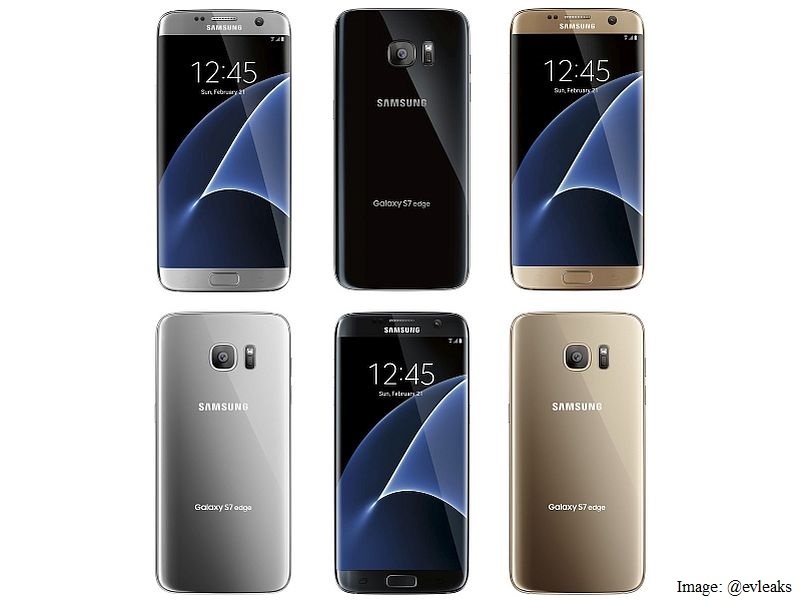 The Galaxy S7 will not sport a different look but it will have a few new tricks. 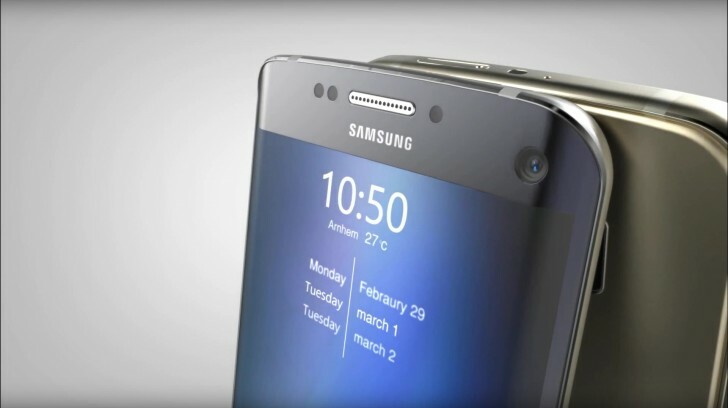 The Galaxy S7 will have a retina scanner and a MicroSD card slot. If the retina scanner actually works and is reliable, maybe passwords will be a bad dream. In true Samsung spirit they will launch some “Apple-like” features: its own version of 3D touch and Live Photos. You can now pre-order at Best Buy. The New LG G4 Is An Awesome Camera And There’s A Phone Attached To It! The new LG G4 was announced today in NY and London, and will be available in South Korea tomorrow. It should hit the US by June. 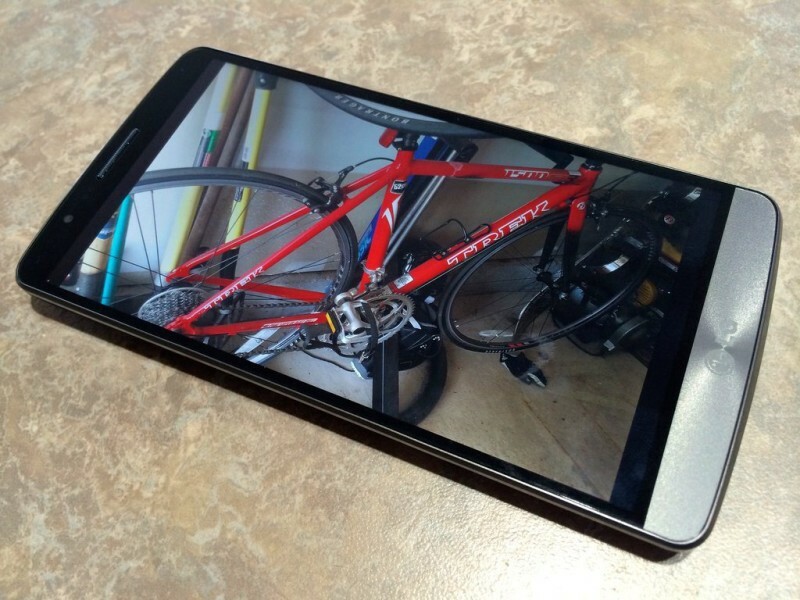 I have the LG G2 and I have been very happy with it. The LG G3 was a better smartphone and the G4 does not disappoint. Why? It has the most awesome camera out there. And let’s face it, we use the camera on our phones as our primary camera anymore – right?. I would say I use it 50% of the time while on my phone. I think this was a smart move by LG and will make this a popular choice. I think it will also push other manufacturers to bump up their camera capabilities. I have been waiting for specs like this on my phone never mind the camera. Also check out the unique models with leather. Note: It has a removable battery! The front camera alone is 8 Megapixels. The specs on the main camera will blow you away, and it saves images in Raw format – photographers awaken! NEW YORK, April 28, 2015 /PRNewswire/ — LG Electronics (LG) unveiled its eagerly anticipated LG G4 smartphone today and announced that U.S. customers will be able to purchase it soon on Verizon, AT&T, Sprint, T-Mobile, U.S. Cellular and at Best Buy. The market has clearly responded enthusiastically for the G4, the anticipated successor to the G3, which exceeded all expectations in terms of sales and industry awards. Among the first users of the LG G4 will be 4,000 lucky customers from around the world who will receive the new smartphone before it goes on sale, as part of the company’s largest-ever consumer experience campaign. With the G4, LG focused on delivering comfortable elegance, a great visual experience and a human-centric user experience. The LG G4 camera features a rare-in-smartphones F1.8 aperture lens, which allows 80 percent more light to hit the image sensor than in the LG G3. The innovative camera module is paired with the new IPS Quantum Display that is better in every way than the innovative Quad HD display introduced to the world in the LG G3. The LG G4 embodies human sensibility that is clearly visible in its Slim Arc exterior design and graphical user interface. LG paid special attention to the materials used in its newest flagship. The LG G4 is available in genuine full-grain leather in six beautiful colors. The meticulous tanning process employed is an age-old tradition that requires skilled craftsmen to produce and dye the leather. 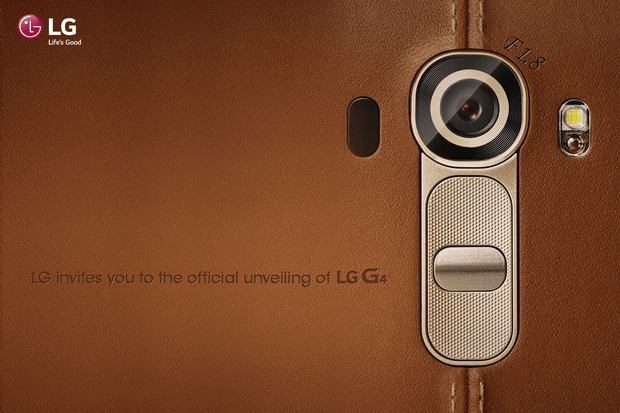 The colors of the leather on the G4 are rich with warm tones that look authentic and change over time. Other material options for the G4 rear cover include pure Ceramic White with 3D patterns, artisan-forged Metallic Gray as well as lustrous Gold. The comfortable elegance of the LG G4 is a refreshing change from the uniformly flat, full metal designs that have been become standard across the industry. The LG G4’s design is defined by the Slim Arc, which runs along its entire body and is highlighted by a display with a subtle curvature. More than just a design accent, Slim Arc offers 20 percent better durability than a flat smartphone in face-down drops and gives the smartphone a more comfortable and secure feel in the hand. The exterior design is also reflected in the smartphone’s user interface, which includes simple, naturally intuitive graphics. In the LG G4, the icon colors are more vibrant with icons that have rounded corners, consistent with the Slim Arc design. What’s more, the Smart Notice widget automatically changes its background and text color based on the home screen image selected by the user. LG designed the 16MP camera in the LG G4 to capture beautiful images, even under less than ideal lighting conditions. 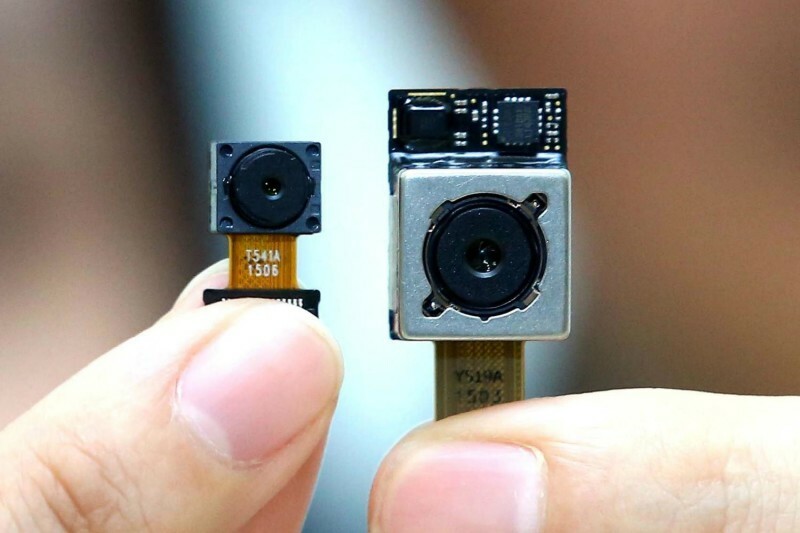 The camera module features a wide F1.8 aperture lens that allows 80 percent more light to reach the sensor over LG G3. LG improved low-light performance even further with OIS 2.0, which doubles the performance of the improved OIS+ by expanding the range of image stabilization from one degree to two degrees on the X- and Y-axis and adding a third axis for the first time. New for G4, Manual Mode allows experienced photographers the ability to exercise more artistic expression by letting them directly control the focus, shutter speed, ISO, exposure compensation and white balance for every shot. Advanced photographers can also save their photos in RAW format, in addition to JPEG, for more precise editing with no loss of details. The advanced camera in the LG G4 is complemented by Color Spectrum Sensor (CSS), the first feature of its kind to find its way into a smartphone. CSS improves color accuracy by precisely reading the RGB values of the ambient light in a scene, as well as the infrared light reflected from objects. CSS uses this information to adjust the camera’s white balance and flash color to create images that are as close to what one would see with the naked eye. With Color Spectrum Sensor, no longer will reds appear as bright orange or whites as dull yellow. For selfies good enough to frame, LG included an industry-leading 8MP front-facing camera for sharp, detailed portraits and group shots. Gesture Shot has been improved by taking four shots spaced two seconds apart, increasing the chance of getting that perfect shot under the most difficult conditions. Triggering the shutter is as simple as opening and closing one’s hand twice in front of the camera. Taking a quantum leap in display technology, the LG G4 is the first smartphone to use LG Display’s new 5.5-inch IPS Quantum Display, which offers 20 percent greater color reproduction, 25 percent improvement in brightness and 50 percent greater contrast over LG G3. This new display is calibrated for DCI (Digital Cinema Initiatives) standards for color expression, championed by topHollywood studios. With G4, the higher quality display doesn’t come at the expense of battery life. 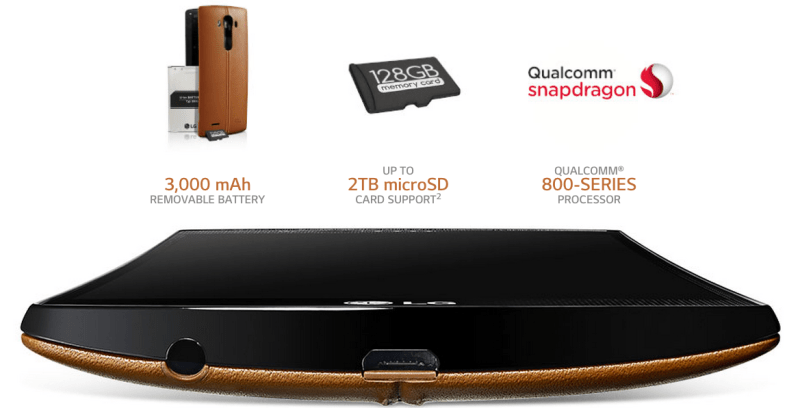 The LG G4 is equipped with a high-capacity 3,000mAh removable battery, a rare feature in today’s high-end smartphones. Combined with the benefits offered by the snappy yet energy-thrifty Qualcomm® Snapdragon™ 808 processor with X10 LTE, the LG G4 has no trouble getting through a full day of normal use. 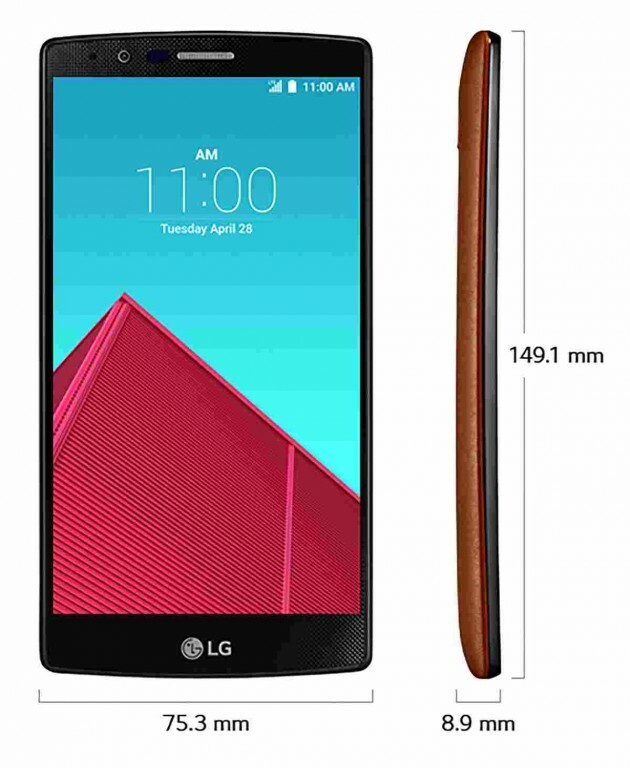 In fact, the LG G4 is estimated to last 20 percent longer than the G3, from the same capacity battery. To mark the first public unveiling of its Snapdragon™ 808 processor, Dr. Paul E. Jacobs, executive chairman of Qualcomm International joined Mr. Cho on stage in New York City. The LG G4 is the first phone to use the new human-centric UX 4.0 that promises to be simpler and more intuitive to better understand and respond to the needs of each user. The improved UX eliminates unnecessary steps while providing more configuration options for advanced users. Quick Shot allows customers to take pictures without opening the camera app by double tapping the phone’s Rear Key while the display is off. LG G4 also has an incredibly fast camera startup time of just six-tenths of a second. The new Gallery makes it extremely fast to scroll through thousands of pictures and view them on a timeline. The Memories feature automatically organizes photos and videos into event albums based on the time and place they were taken, without having to upload to the cloud. Event Pocket allows users to create one, unified calendar by dragging and dropping appointments and activities from multiple calendars and social media sites. After the initial setup, there’s no need to log into multiple calendars. Quick Help allows users to search for instant answers to any questions about operating the LG G4, right in the Smart Notice widget. Quick Help can guide users through the LG G4’s settings and even schedule a call with customer service. LG has sought out partnerships to enhance the overall user experience of the G4. Google Office comes pre-installed on the LG G4 for easy collaboration on-the-go and G4 owners will receive an additional 100GB of Google Drive storage free for two years. With MirrorLink and LG G4, owners of Volkswagen vehicles will be able to view a car-friendly version of the G4 interface on the in-dash display for full integration with contacts, navigation and music on the smartphone. U.S. prices and availability will be announced by carriers soon, making the LG G4 available on approximately 180 carriers worldwide.